Am I Physically Fit Enough To Begin Dancing? It is never too late to begin dancing, ever! 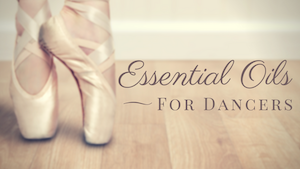 How physically fit do I need to be to start taking dance class? Before starting any new workout or physical activity you should talk to your doctor. I am not a doctor. Go see one and ask him/her if you are healthy enough to start dance training or classes. If you are in good health, there’s really no reason to wait. Feel free to enroll in a dance class right now. But will I be flexible enough right now? Maybe not. Will I be strong enough to do everything my teacher asks of me? Unlikely. Will I feel comfortable with my body? That depends on you. Lots of dancers struggle with this issue and it has nothing to do with size, weight, or muscle tone. But if I’m probably not flexible, or strong, or comfortable enough, shouldn’t I do some things to get more flexible, strong, and comfortable first? If you feel particularly weak or stiff, or if it will make you feel more confident, by all means, safely up your level of overall activity or add simple stretching to your daily routine in the weeks before you begin your first class. But it’s not necessary. 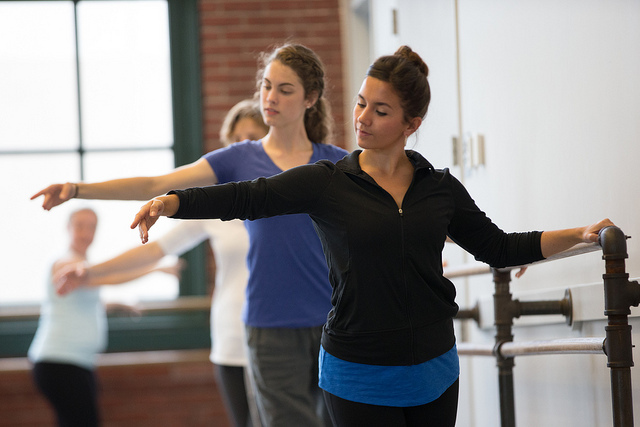 As you practice or train in dance classes, you gain body awareness while working on the kind of movements, flexibility, strength needed for the particular style or discipline you are studying. You will find some things in class difficult if your muscles are tight and some stretches difficult without the proper technique. A lack of strength will make some skills challenging but sometimes the best way to build the strength needed is to practice the skill (provided you are practicing it properly with guidance from your teacher). With time and focus it will all become easier. And for many of you, participating in a rich and expressive art form that develops your flexibility, awareness, strength, control, and a host of other benefits, that process is more than enough. You are getting what you want out of dance. But is dance class really enough for me? I don’t know what your specific goals are. Reaching them may certainly take some work outside of dance class too. A balanced fitness routine includes aerobic fitness, strength training, core exercises, balance training, flexibility and stretching to improve aerobic capacity, body structure, body composition, balance, muscular flexibility and strength. A typical dance class like ballet or jazz certainly includes most of the above but not consistently. A technique class is not designed as a fitness class, and therefore does not necessarily address ALL of your fitness needs. This is particularly true when it comes to aerobic capacity or cardiovascular endurance. If you are planning to start earnestly training in dance by taking daily classes or multiple sessions each week. You can consider cross-training to help you reach your dance and fitness goals. There are many cross-training options for dancers. Just be sure you are getting enough rest and not over-doing it! If you are planning to take a once-per-week dance class, the level of exercise typical in a dance class is better than no exercise. However, you will probably need to add other activities to balance your daily or weekly fitness routine for overall health. I’ll be straight with you–you aren’t likely to get ‘ripped’ in a dance class. If your reasons for wanting to learn to dance don’t go beyond getting your body into prime physical shape, you may want to investigate methods or classes that would give you more bang for the buck in the fitness department. Dance technique classes have amazing health (and brain) -enhancing benefits for those who want to learn to dance, or who want to practice and enjoy an art form that is also physical/athletic. Particularly at the hour-per-week rate, it could take years of training to master the fundamentals of good dance technique. Your fitness level may actually improve a little faster than this but don’t expect to suddenly get that “dancer’s body” everyone seems to crave. “Late” beginners (let me repeat – it’s never too late!) often spend a lot of time thinking about starting dance classes before actually doing it. You are working up the courage to do something new and challenging. While doing all of this thinking, don’t forget that it’s okay to feel new and challenged when you start out in dance. Everybody does, no matter their age, background, flexibility, or any other human characteristic. Don’t let it keep you from starting, though. Go for it! I love your advice to be courageous! That’s exactly what I need to hear. I took lessons really briefly when I was younger, and I regret that I didn’t stick with them. I’m thinking of taking beginner dance lessons now, but I’ve been a little nervous about it. I’m going to try it though–thanks for the push! It makes sense that you should at least be sure you are in good health before taking a dance class, even if you’re not necessarily in shape. Taking a dance class is actually something that I’ve been considering trying out for a while now. My health is fine, but it’s been a while since I’d consider myself to be in good shape. If nothing else, this should be a good way to get me back on track with that!